Amar Kumar over the years has developed an expertise in distance healing. He has been actively providing distance healing support to those in need since 1997, has treated huge number of persons and has vast experience. He is very well known internationally and has clients spread across the cities in India and abroad. we believe in helping the client with all his problems after clearly understanding and analysing his problems. After that we decide on a healing method best suited for him. After the one or two visit if the client is unable to come in clinic for the healing then the distance healing can be given to that client(preference to clinic visit).Because Healing energies are not limited by time and distance, long distance healing can also be given without the client being present.The treatment lasts up to 30 minutes. Distance healing is basically sending spiritual energy to someone by praying for them to get better according to their karmic pattern, and may also involve the chanting of mantra. It is important to always visualize the patient in good health when doing this, since this will enhance the healing process. Distance healing by our 4 expert healers as in group. Sujok Acupressure techniques and natural healing remedies--offering immediate relief from a variety of pains and illnesses. Distance reiki price is given which will be given on photo along with crystal healing. Personal reiki charges vary as it recovers faster. Reiki teaching will be provided up to reiki master. Please inquire. 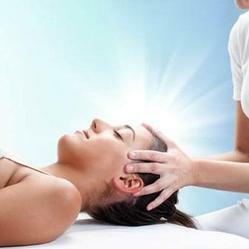 Distant or Distance Reiki Healing is provided for people who are unable to come for a Personal Healing Sessions. Also it can be provided to people in critical conditions, ill pets & animals, etc. A recent full body photograph. Photo size -preferably fits between palms. Full Name, Date of Birth & Place of Birth . Healing was a three way agreement between healer, God and the person being healed, healing was an active choice.Anyone can heal and anyone can choose well-being.